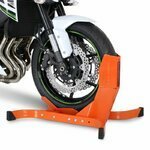 Front Paddock Stand - Precision Engineering for Guaranteed Safety. 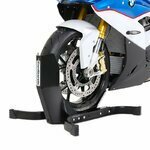 Choose a ConStands motorcycle front paddock stand and trust in precision engineering from a top brand leader. 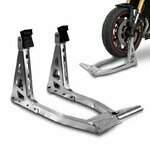 Specifically made with easy use and easy movement in mind, every ConStands motorcycle front stand is manufactured from highest quality materials to ensure longevity. 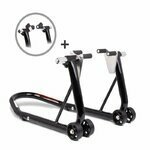 Owning a motor cycle front stand is a must for any home repairs or servicing. 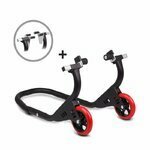 Their solid and unyielding design make them the ideal tool for lifting the front wheel for bike maintenance. 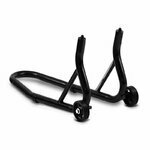 Reinforced and easy to use, they come with rubber coated front fork adaptors to protect against any scratches and allow you to perform maintenance on even the hardest to reach parts of your motorcycle in safety. 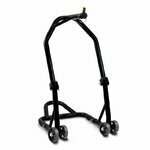 Available in multiple styles and configurations to fit any motorcycle. 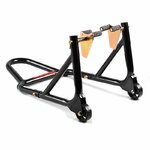 Buy a Quality Motorbike Front Stand For Servicing. 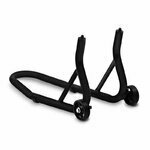 ConStands motorcycle front stands are made with consumers in mind. 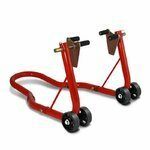 This front paddock stand is built from high quality, extremely durable materials. 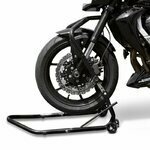 The stand's reinforced wheels ensure great mobility while maintaining the security needed when mounting your motorcycles front wheel on an elevated chock. 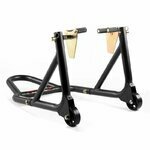 Made with both strength and durability in mind, these front motorcycle paddock stands are built to last making them a most welcome investment. 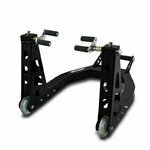 At BS Motopart's onlineshop we pride ourselves on cheap, high quality products by ensuring customer peace of mind with our fast delivery, free shipping and money-back guarantee. With free shipping to any location in the UK for any purchase of 69.90 GBP and fast delivery from our German warehouse, we offer a 30 days money back guarantee. To ensure customer service, we have an English language call centre open from Monday to Friday between the hours of 8:00 a.m. and 4:30 p.m. and secure online payment facilities for your convenience.